The Victoria Motor Inn is located within walking distance of the Falls and Casino Niagara and approximately 20 miles from Buffalo International Airport. The property’s amenities include the swimming pool and dining area. All of the newly renovated guest rooms are a perfect mix between luxury and style and feature air-conditioning, clock radios, and cable TV. Parking is also available onsite for a small fee. Victoria Motor Inn welcomes you to the heart of Niagara. With a convenient location on the main tourist strip, this wonderful Niagara Falls motel offers close proximity to all of the fun and excitement Niagara has to offer. With comfortable, clean and spacious rooms coupled with friendly staff, the Victoria Motor Inn is ready to make your visit to Niagara a memorable one. To enhance the guestrooms, they have been newly renovated to provide a perfect mix between luxury and style. Each room features great amenities such as air-conditioning, clock radio, and cable television. 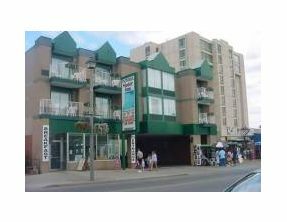 The Victoria Motor Inn also provides guests with close proximity to The falls, The Casino Niagara and Clifton Hill. This means you can leave the car at the hotel and have a nice day walking, biking or roller blading around scenic Niagara Falls.